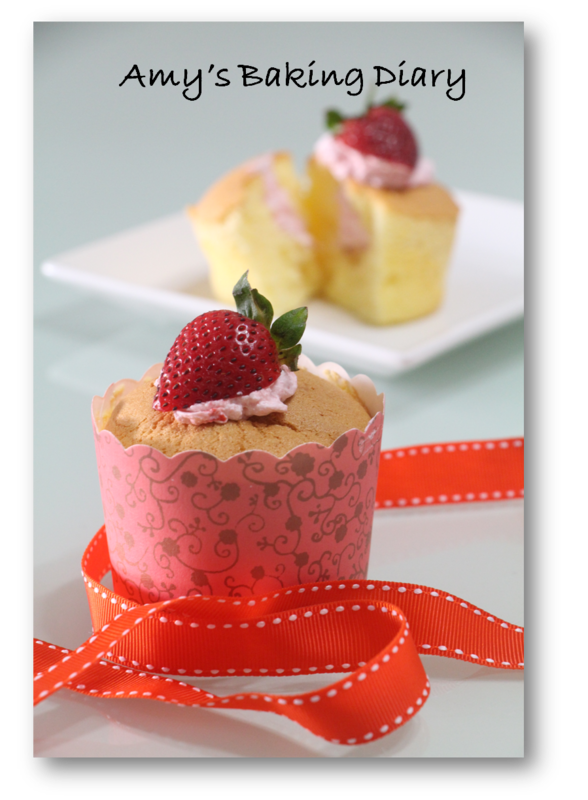 Hokkaido Chiffon Cake is well known for its soft and cottony texture. 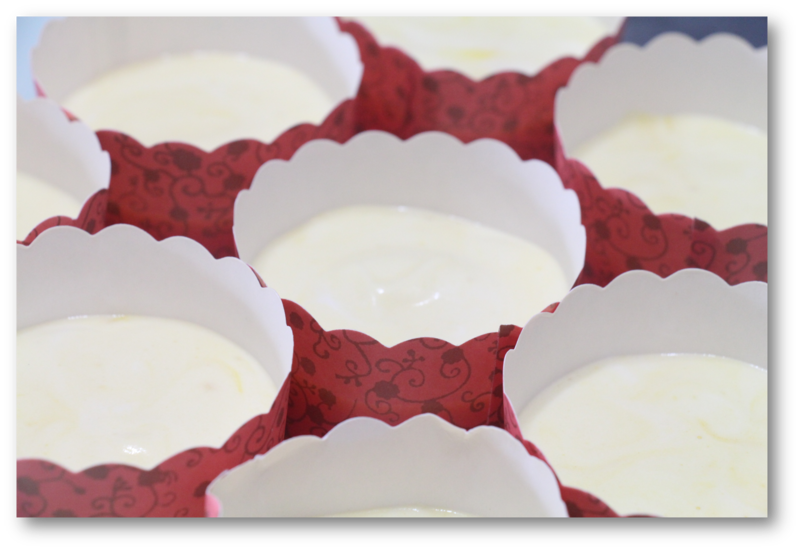 It is basically small chiffon cake in a pretty and nice squarish cup liner. 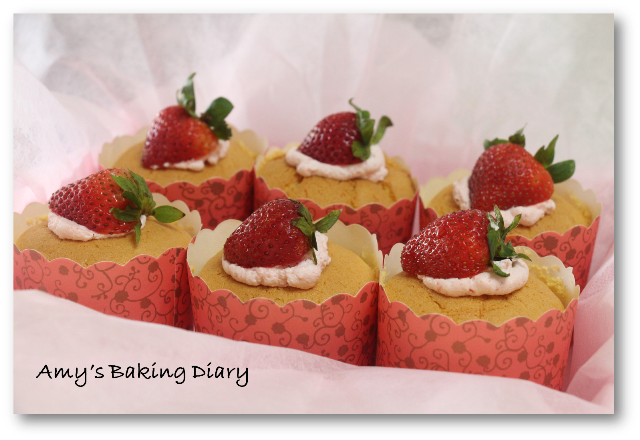 The cake is filled with either custard or whipped cream and garnished with fruits. This is a very pretty cake and it’s also very popular cake that most home bakers will attempt. So here I am, also hopped on the bandwagon and joined in. But I’m using my chiffon cake recipe instead. Look! Look! Look! I’m very satisfied and pretty proud of the outcome as it turned out so perfect and was well received. But, but, but… guess what I have missed out on the final product? Hahaha! Yes. I’ve forgotten to dust the cake with powder sugar! Drizzle in the oil and milk, whisking at the same time till the mixture is well combine. Sieve over the flour mixture and whisk until flour mixture is fully incorporated into the batter. 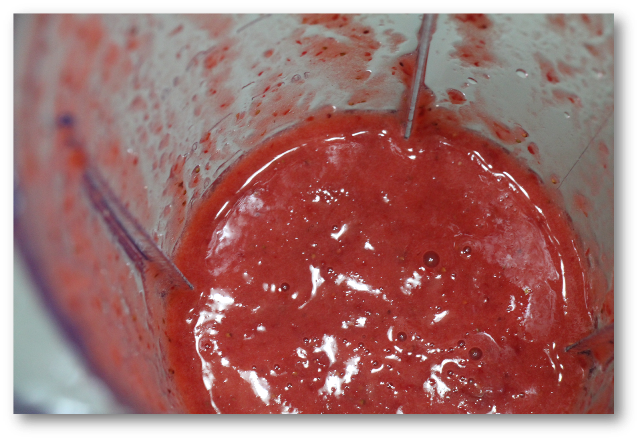 Cut the strawberry into small pieces and blended into puree. 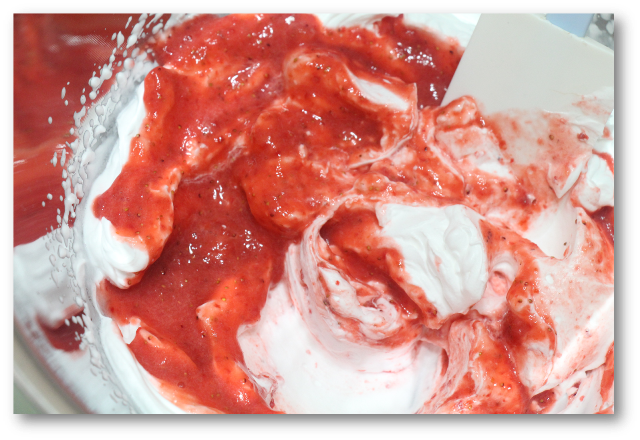 Add the puree into the whipped cream and mix well. 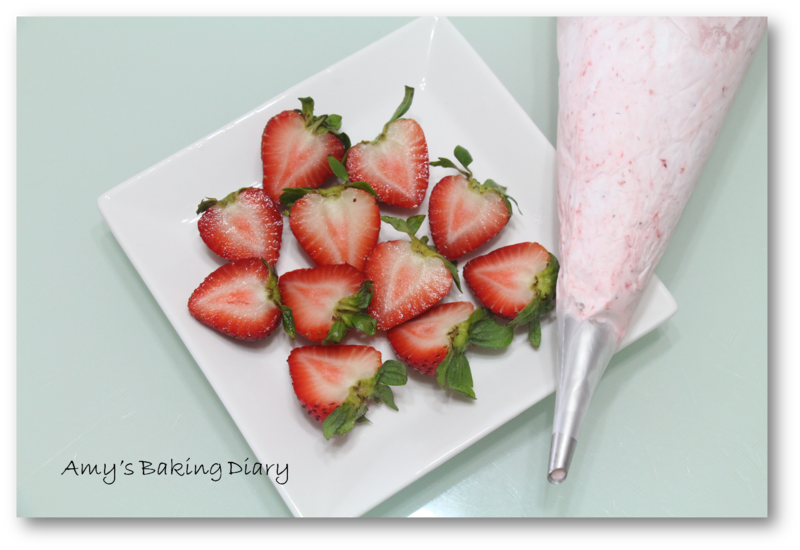 Pipe strawberry cream into cupcake and garnish with half of the strawberry. Dust with icing sugar. I’ve just realised the link for Bake Along has closed. Therefore, I’m submitting this for Cook-Your-Books #14. The recipe is adapted from 65 款手作经点蛋糕. Do you want to link this post with bake-along? I can still do it. Drop me a comment if you wish to. 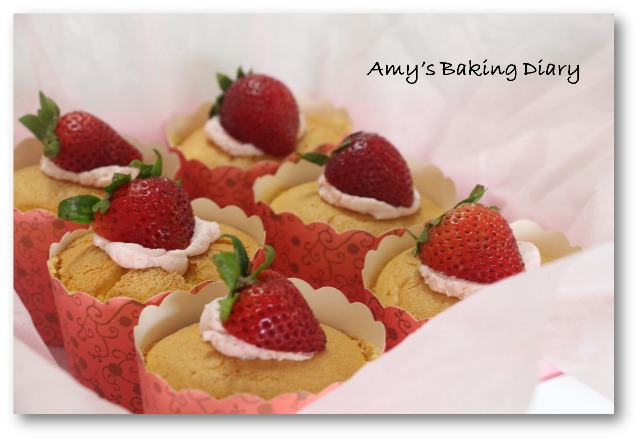 Lovely creation, I do not have much success with this cake yet, for now I'll give it a pass because I have been eating too much chiffon cakes lately lol! Your HCC looks wonderful! I have yet to give this one a try! Hi I wish I can help myself to these lovely HCC,,,strawberry and whipped cream..hmm.... nice. Wow! I love yours. 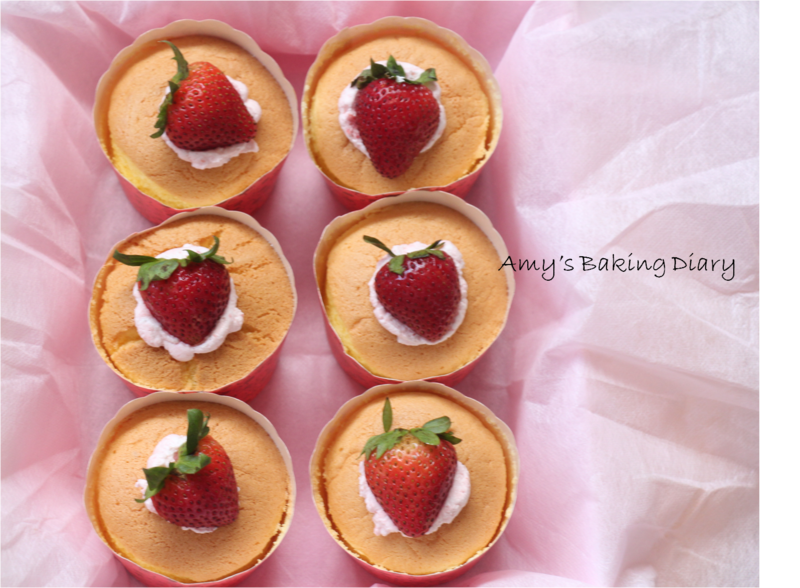 They look so delicious with strawberry whipped cream and fresh strawberry topping. 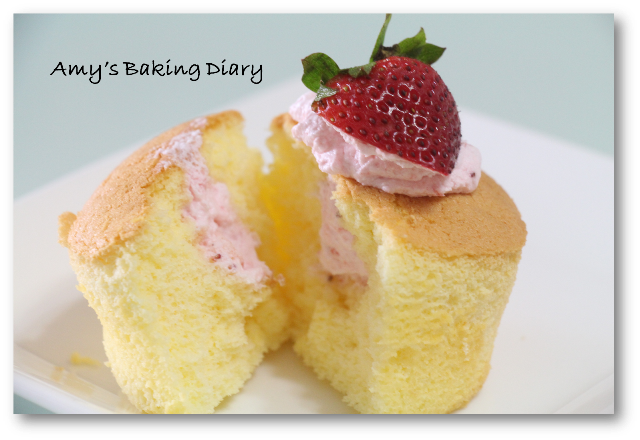 yeah, i saw domestic goddess made with strawberry fillings too, sounds really good...! you did it so well!